As already noted, Arthur Linfoot occasionally mentioned his work colleagues in his diary entries. These colleagues include one – or possibly more than one – named Bob. The diary entry for 30 April 1915 notes that Bob had been wounded and, a few days later on 6th May 1915, the diary also records the death of Bob Brotherston at Boulogne hospital. This latter note is written in longhand and, while this is the only occasion on which Bob’s last name is mentioned, it is quite clear. It is thus reasonable to conclude that the Bobs mentioned in these two entries are the same person, known to Arthur Linfoot as Bob Brotherston. A search for Bob Brotherston at Lives of the First World War yields relatively few results and, when that search is constrained using Sunderland as the location, only one clear candidate emerges, Robert Thomas Brotherston of the Durham Light Infantry, service number 2605. Private. No. 2605. 7th Durham L.I., 2nd s. of James Brotherston, of Rowlandson Terrace, Sunderland, engineer, by his wife, Jeannie, dau. of Alexander Henderson ; b. Sunderland 26 Dec. 1894 ; educ. Cowan Terrace Juvenile School, and Argyle House School, Sunderland ; joined the 7th Durham L.I 6 Sept. 1914 and died at the Stationary Hospital, Boulogne, 5 May, 1915, of wounds received in action. He was buried in the East Cemetery there ; unm. This information confirms what we already know about Bob and extends it, adding (inter alia) date of birth, parents’ names, details of his education1, the names of his regiment and battalion and the date on which he joined – 6th September 1914. Arthur Linfoot’s diary entry for 3 September 1914 notes “Bob and Sandy in the office. They are going to join Kitchener’s army.” It seems likely that this Bob is also Bob Brotherston and that he did indeed join Kitchener’s army only three days or so later. The Wartime Memories Project includes a page detailing the 7th Battalion of the Durham Light Infantry which offers some further clues. It notes that “they were at once mobilsed and moved to the coastal defences by mid August, then to Ravensworth Park for training”. The period spent by the 7th Durhams at Ravensworth Park could have continued during September and this would be consistent with Bob joining them there on 30th September. This is again consistent with the diary record. There was evidently a Brotherston family connection to the Scottish Borders. The Southern Reporter was a newspaper serving the Scottish Borders region and it reported Bob Brotherston’s fatal wound – though not his death – on 13 May 1915, a week after he had died. Mr James Brotherston, Sunderland, has received official notice that his youngest son has been shot in the spine, and is dangerously ill in hospital. 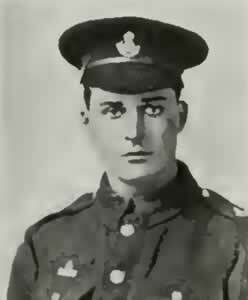 He was in the Durham Light Infantry, and went to the front on 18th April. Mr James Brotherston, who has two other sons ready to go to the front, is a son of the late Mr Andrew Brotherston, bird-stuffer, Kelso. This confirms the Marquis de Ruvigny’s record of Bob Brotherston’s father’s name and the Wartime Memories Project’s record of the date of his deployment to France, adds his grandfather’s name and profession, suggests that he had two older brothers also serving in the military and confirms Arthur Linfoot’s diary record of the cause of his death – a spinal injury caused by a gun shot. The picture which emerges is of a young man of Scottish Borders descent, apparently a work colleague of Arthur Linfoot at the Hendon Paper Mill and then aged only 19, volunteering to serve with the 7th Durham Light Infantry in September 1914, undergoing a period of army training, being sent to France in mid-April 1915 (by now aged just over 20), being mortally wounded only about two weeks later and dying shortly after (on 5th or 6th May3). Robert Thomas Brotherston is commemorated on a memorial, the Roll of Honour 7 D.L.I. Fallen 1914-18 TA Centre at Seaburn near Sunderland.